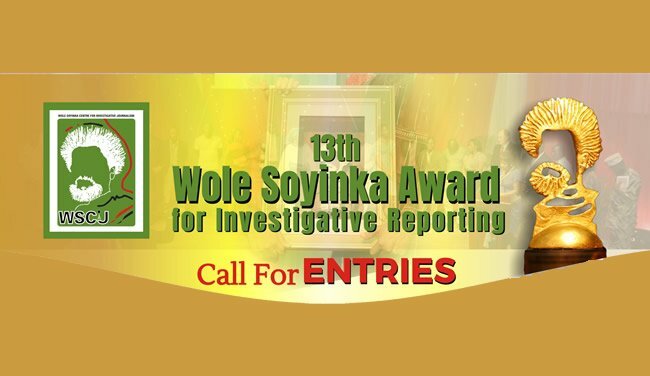 Wole Soyinka Centre for Investigative Journalism (WSCIJ) Calls for Entry from Nigerian Reporter or Team of Reporters for its 13th Edition of the Investigative Reporting. See Application Procedures for 2018. 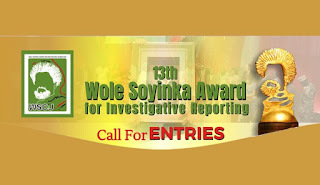 The initiative started in 2005 under the name Wole Soyinka Investigative Reporting Award (WSIRA). It operated as an award-giving organisation till 2008 when it took on the name Wole Soyinka Centre for Investigative Journalism (WSCIJ). The change in name became necessary to reflect the intention of the coordinators to embrace a more robust line of activities; such that have greater capacity for engendering the appropriate values of investigative journalism in the Nigerian media environment. Closing Date: 4PM Wednesday 24 October 2018.